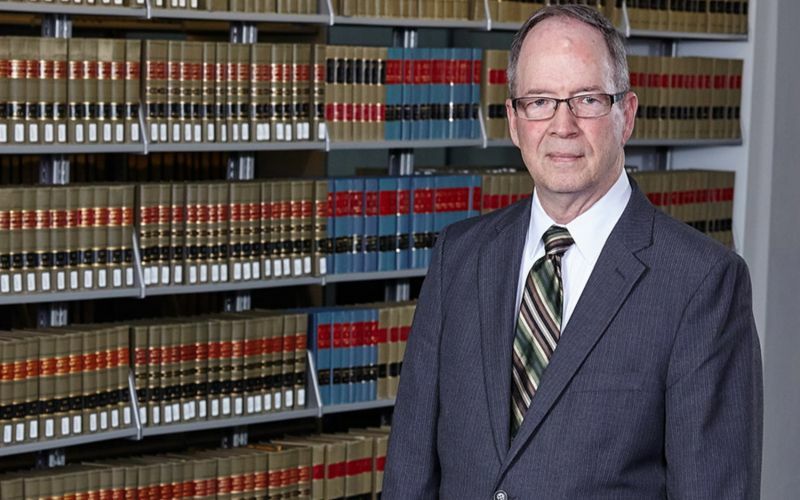 Summary: A recent UNT Dallas College of Law graduate has 800 volunteer hours and is the oldest graduate of the inaugural class at 71-years-old. UNT Dallas College of Law opened as an unaccredited law school in 2014. By 2017, the law school had received full accreditation. Their first inaugural class was filled with a variety of students from different backgrounds. One of these students was John VanBuskirk. VanBuskirk was in his late 60’s, enjoying retirement, when he noticed that a new law school was opening in Dallas. He decided he might as well apply, and he was accepted. Four years later, the now–71-year-old is a member of the State Bar of Texas. He graduated from the law school in January as the oldest member of the inaugural class. This wasn’t the only thing that set him apart from his classmates. VanBuskirk had 800 hours of volunteer work. VanBuskirk had logged 800 hours of pro bono work, according to WCNC. He did this by volunteering with the law school’s pro bono clinics and with the Dallas Volunteer Attorney Program. The state awarded him with two awards for his pro bono work. He made the Dean’s List four times, graduating with the 3.21 GPA. His resume also include other notable accomplishments such as 25 years with the Army where he was able to retire at the rank of Major. His first experience with the Army was as a medical helicopter pilot in Vietnam. He then returned as an officer in 2006 at a U.S. hospital in Germany during the Iraq war. His first taste of the law was when he was able to join the Judge Advocate General (JAG) legal program when he was in the military. He ended up not meeting the requirements to join so when he saw another opportunity to try out the law again, VanBuskirk jumped at it. As his wife reminded him, “You’re not getting any younger,” VanBuskirk was excited to be doing something. He said, “I guess it falls under the category of different strokes for different folks.” While some enjoy fishing and relaxing during retirement, VanBuskirk wanted to be active in something. And this is exactly what VanBuskirk got from the new career path. He would wake up at 3 am to study for a couple hours. He then would take a quick 30 to 60 minute nap around 5:30 am to recharge and prepare for the rest of the day. He would be in class at 8:30 until 11:30 am. He would then take his lunch to the Dallas Bar Association building until 1 pm. From 1 pm to 5 pm, VanBuskirk was involved in an internship. From 5:30 pm to 8:30 pm a few times a month he would volunteer at Dallas Volunteer Attorney Program clinics. He was then in bed by 10 pm. VanBuskirk is now exploring career options, including in the pro bono sector. Do you think pro bono service completed during law school should have an incentive towards student loan forgiveness? Share your thoughts with us in the comments below.